IP finance: Intellectual Ventures versus Symantec: when a troll is not a troll, and a victory is not a victory? Intellectual Ventures versus Symantec: when a troll is not a troll, and a victory is not a victory? 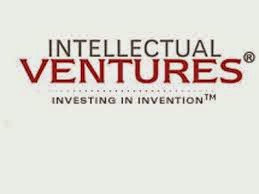 In case you missed out, Intellectual Ventures (IV) reached a milestone of sorts last Friday, when a jury in Delaware ordered Symantec, the computer security giant, to pay IV $17 million in damages for infringing two US patents. It marked the first time that IV had received a favourable jury verdict. Remember the days when Intellectual Ventures talked about litigation as the least desirable business alternative? That may have been true before 2010, but since then the company is reported to have filed more than 50 lawsuits. So is IV changing business course, with greater emphasis placed on litigation to complement its on-going licensing business? Probably not. After all, IV claims that it has received $3 billion in licensing revenue, while the jury verdict amounted to "only" $17 million. Still, this jury verdict is significant enough to warrant further comment. As reported by artstechnica.com, the case at issue involved three US patents, two of which were found by the jury to have been infringed, while a third was not. The infringed patents are #6,073,142, filed by Utah's Park City Group in 1997 and #6,073,142, filed in 1999, and which later found its way to AT&T before being purchased by IV. A third patent, #6,460,050, was held not to be infringed. Winning on two out of three patents does not seem too bad. But consider that IV is reported to have asked for $299 million in damages, which means that IV was awarded less than 6% of the amount sought in the complaint. Moreover, the jury declined to award IV ongoing royalty payments. Against this backdrop, did IV really win? It depends who you ask. The head of litigation at IV, Melissa Finocchio, after thanking the jury for its verdict, stated:"We remain committed to defending inventor rights and protecting the interests of our investors and customers." To the contrary, a spokesperson for Symantec said in an email that "[w]e are pleased the verdict came back for substantially less than the amount that Intellectual Ventures was seeking, and are considering our options to reduce the damages even further." Stated otherwise, both sides seem to have been satisfied with the verdict. When considering this jury verdict in light of the broader IV patent litigation context, one gets the feeling that, whatever the award that IV ultimately banks from Symantec, there is something "oh so yesterday" about IV's litigation strategy. Recall that IV filed suit against Symantec and other defendants in late 2010. 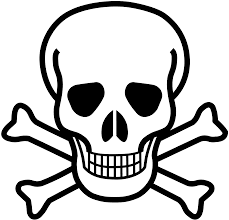 Some major companies, such as Check Point and Intel's McAfee division, are reported to have settled with IV. Symantec refused to do so and it received the jury verdict finding the company liable for infringement. Another company, Trend Micro, will have its day in court in May 2015. To round off the picture, the case against Motorola Mobility ended up as a mistrial when the jury could not reach a unanimous verdict. A retrial is set for next month. The upshot is that IV has won some cases and lost some cases in seeking to enforce these patents, but the amounts appear to pale in comparison with the amounts that it has has allegedly obtained by non (or less) litigious means. "Oh, so yesterday", unless the increased interest in litigation is a signal that IV's business model resting on non-litigious means is faltering. Moreover, one wonders just who much IV wishes to be portrayed in the media as exploiting its huge patent portfolio via litigation. Notably, bbc.com reported that the judge barred Symantec from using the term "patent troll" in the context of the case, showing just how toxic the term has become. This is so, despite the fact that mass-scale patent aggregation per se is not equally decried. One can point to defensive patent aggregators, such as RPX, which buy up patents and then announces that it will not assert those patents against the company's member subscribers. Litigation is (at least up to now) not part of the business model of the defensive patent aggregator. Also, some respectable commentators have suggested that patent aggregation may have value as a means for reducing transaction costs in the context of commercial transactions. IV probably cannot remake itself (back to the future?) as a defensive patent aggregator. But perhaps it can try to take steps whereby it becomes better known as a facilitator of IP transactions than patent litigation -- if, of course, IV ultimately cares.